No matter how much time and energy you are willing to devote to your senior loved one’s wellbeing, there will most likely come a point when you need to consider professional assistance. An experienced caregiver can socialize with your loved one and help with daily chores and errands. Here is a quick look at a few questions you should ask all caregiving agencies during the screening process. Before any caregiver steps inside your loved one’s home, you must first verify he or she has the proper licenses and insurance. 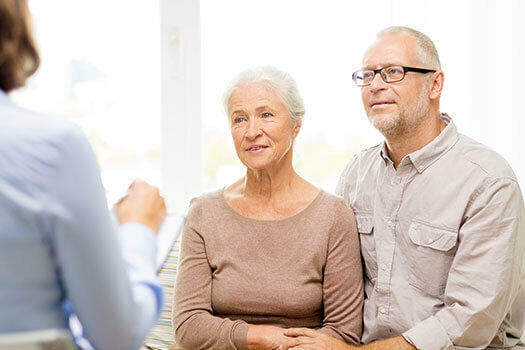 Most states have very strict rules regarding which licenses a caregiving agency must acquire as well as regulations for the type of insurance caregivers need. The caregiving agency you are interviewing should be happy to provide you with proof of their state licenses, business insurance coverage, and bonding. When searching for reliable Montgomery home care agencies, families want to know their senior loved one will be well taken care of. At Home Care Assistance, our expertly trained caregivers are available around the clock to assist with tasks around the house, provide transportation to medical appointments and social events, and much more. What Kind of Training Do You Require of Your Caregivers? Most world-class caregiving agencies are going to have rigorous training programs for all of their employees. These training programs generally include both in-house and third-party classes. They might also have their employees undergo basic training for emergency situations so they can perform CPR and tend to simple wounds. Do You Offer Personalized Care Plans? Anyone who has ever cared for an older adult knows every senior has unique needs. Some require daily assistance with eating and hygiene tasks, while others only need some help running errands once or twice a week, which is why most caregiving agencies offer customized service plans to all of their clients. The type of home care Montgomery, AL, seniors need can vary. Some need assistance a few hours a day, while others require more extensive around-the-clock assistance. At Home Care Assistance, we tailor our care plans based on each senior’s individual care needs, and the plans can be adjusted at any time. Can I Change Caregivers If One Doesn’t Work Out? Some seniors simply don’t get along with the first caregiver they try out. There might be a personality clash or an inability to connect on an emotional level. If the first caregiver isn’t a good fit, the agency must be able to find an immediate replacement. Just like most other service-based businesses, the agency should provide at least a few references, which might include seniors they have cared for or the loved ones they worked with. When you contact the references, ask them how easy it was to get ahold of the caregiving agency and how well they got along with the caregivers themselves. How Often Will I Receive Updates on My Loved One? You probably want constant updates on how your loved one is doing. An update might be nothing more than a weekly email or phone call, but the caregiving agency should have a method in place for regularly contacting family members. They also need to provide a general schedule that includes social events, weekly errands, and medical appointments. For some families, caring for a senior loved one can be overwhelming at times. Luckily, they can rely on professional respite care. Montgomery, AL, Home Care Assistance is a trusted name in respite and hourly care. Our caregivers are available around the clock to assist seniors with bathing, transportation, medication reminders, exercise, and much more, allowing families the time they need to focus on other important responsibilities or just take a break. To schedule a free in-home consultation, call our friendly Care Managers at (334) 593-3988 today.